World clean-up dayWorld Cleanup Day is a global environmental event that is commemorated every third weekend of September. The Day was first commemorated in 1993. The day aims at promoting community action as the key to long-term environmental change. 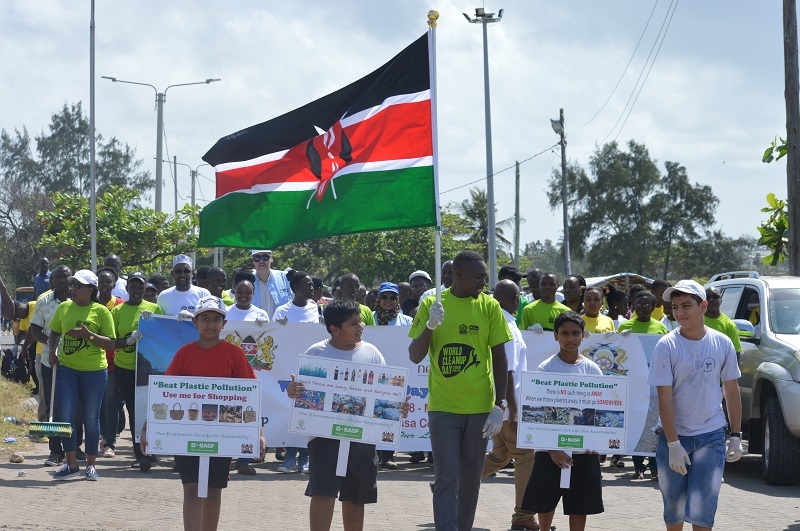 Kenya joined the world in this year’s World Cleanup Day that was celebrated at Mama Ngina Drive in Mombasa County on 15th September 2018 under the theme “beat plastic pollution”. 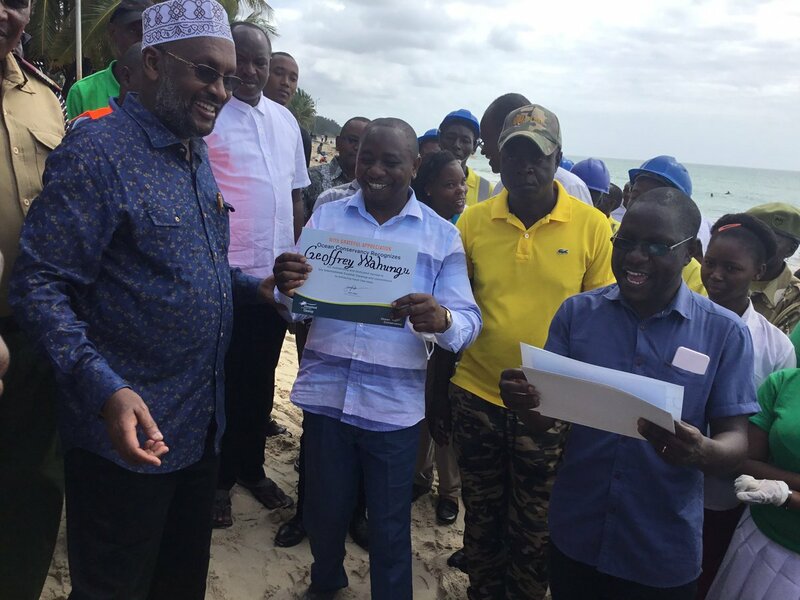 Apart from the national celebrations in Mombasa, various counties organized cleanup exercises within their jurisdictions. The aim was advancing the ongoing campaign on anti-littering and riding off the environment of plastic waste. This years event sought to unite the world for a one massive cleanup action towards promoting positive action in the world. The day also marked some of the milestones that the country has achieved in environmental management. Moreover, it provided an opportunity for the country to reevaluate strategies used to implement the ban in order to addressed challenges of plastic waste into the environment. 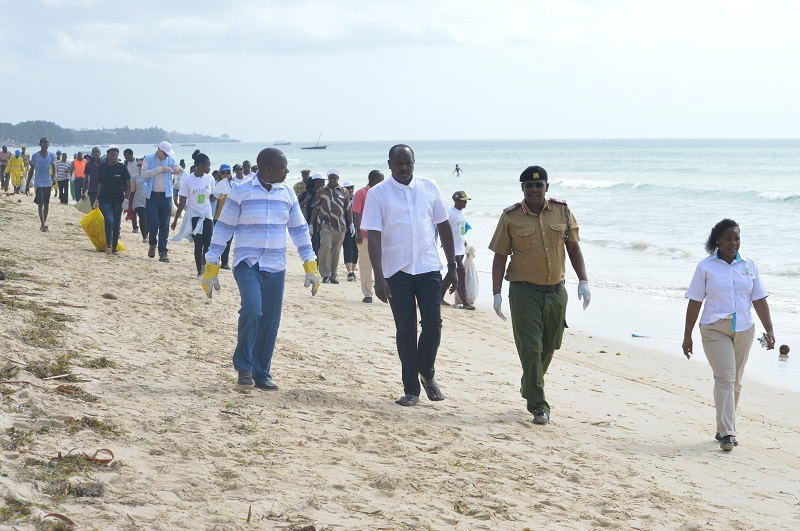 During the day, dignitaries joined the public at a cleanup exercise at Jomo Kenyatta Public Beach, Mombasa old town and Mbaraki sports club. This was followed by a procession from the Mombasa golf club to the venue of the event.The event was attended by ministry of environment and forest CAS Mohammed Elmi, Mombasa County Deputy Governor Dr. William Kingi, NEMA board of management led by its chairman, Mr. John Konchellah, Director General, Prof. Geoffrey Wahungu among various members of the staff. Chief Administrative Secretary, Mohammed Elmi challenged the counties to come up with lasting solutions such as waste management by reducing, recovering and recycling. He further urged the Counties to increase waste management budgets and set aside cleanup activities. 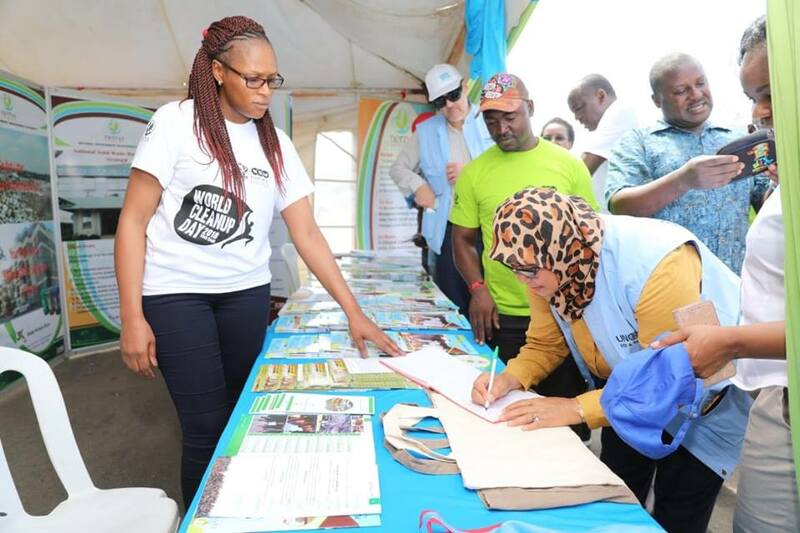 The event was also graced by UN Habitat Country Director, Maimuna Sharif who noted that countries all over the world are working on turning waste into cash through Reducing, Reusing, Recycling and Rethinking. She added that international organizations have also joined the call to support governments in provision of clean environment and waste management. Speaking during the event, NEMA board chairman, John Konchellah highlighted some of the successes that the Authority has achieved in its bid to provide a clean and healthy environment. Among them included the ban on plastic bags that had achieved commendable success over the past one year since August 2017. He noted that despite the success of the ban, the country is still grappling with presence of flat bags that normally get into the country from the neighboring countries. NEMA Director General, Prof. Geoffrey Wahungu urged the enhance the waste management initiatives since waste management is a devolved function. He appealed for their support in the continued implementation of the plastic ban. 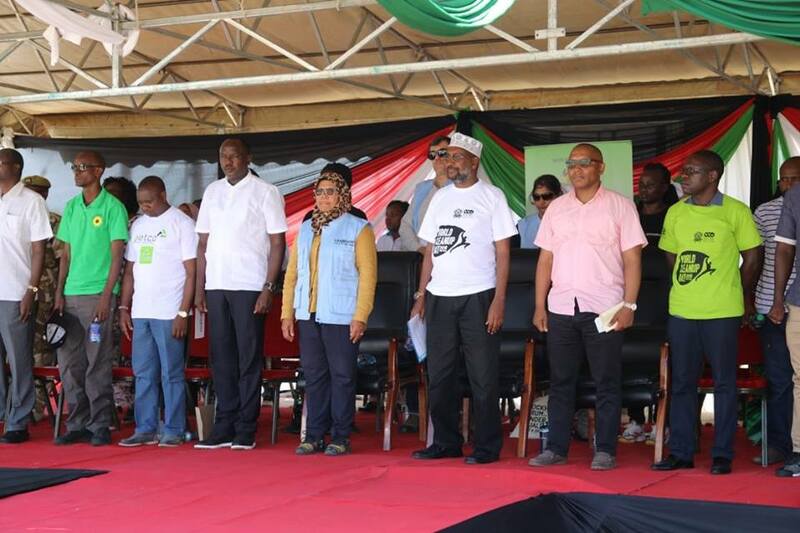 He alluded that the success of the plastic ban will be due to effective collaboration between the various government agencies, County governments and private sectors.